Are you stressing about helping your child become a strong, homeschooling math student? 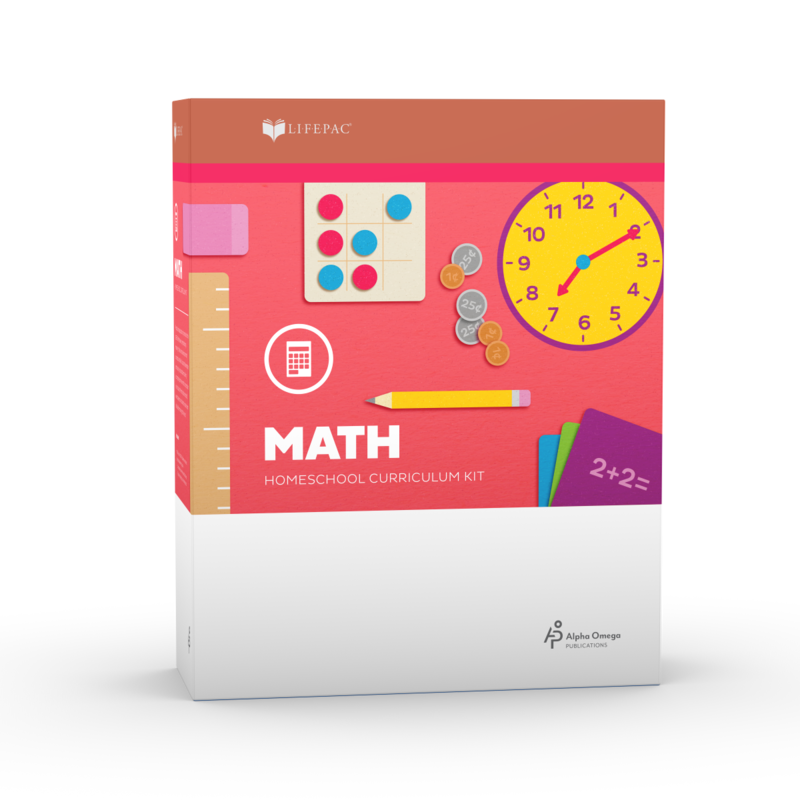 Start by teaching the basics with the LIFEPAC Kindergarten Math Set and watch your worries melt away! Because building on a strong foundation is the key to success in math, LIFEPAC Math courses use curriculum spiraling and mastery learning to encourage student success. This learning spiral begins in Kindergarten with a focus on the basics: numbers, counting, number order, comparisons, problem solving, place value, time, money, addition and subtraction. As your child progresses through this engaging Alpha Omega curriculum, a wide variety of activities solidify these principles and skills in your child's mind, creating a foundation for understanding future concepts. But wait, that's not all there is to love about the LIFEPAC Kindergarten Math Set! Our must-have teacher's guide provides step-by-step teaching instructions for all 160 lessons, an answer key, and lots of ideas for additional activities designed to reinforce important math concepts, all but eliminating the need for worry! Don't let a fear of math keep you from being a great math teacher! Get the homeschool math program that both student and teacher will love! Order the LIFEPAC Kindergarten Math Set today!